Enjoy our printable bucket list! The relaxed schedules and extended days of summer offer the perfect time to focus on little lessons in compassion. We've compiled two lists featuring some of our favorite service projects, along with creative, warm-weather kindness activities. Plus, we've left room for you to brainstorm your own ideas. Here's how you can add heart to your unforgetable summer! 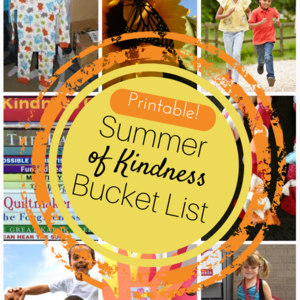 Download and print one of two different versions of our Summer of Kindness Bucket List, one designed for DGT newbies and one designed for more experienced do gooders. Post your bucket list on your fridge, or anywhere you keep your family calendar. Plan a family celebration to commemorate your completed bucket list. Be sure to join our Big-Hearted Families™ Facebook group for ongoing ideas, support, and inspiration for your summer! Parents of young children, print this version to start making memories - and a difference! Print this challenge if your children are a little older. How would you feel if someone shared this act of kindness with you? Would you try this project again? If so, what would you do differently next time? Is there a task on the list you aren't looking forward to? What could we do instead? 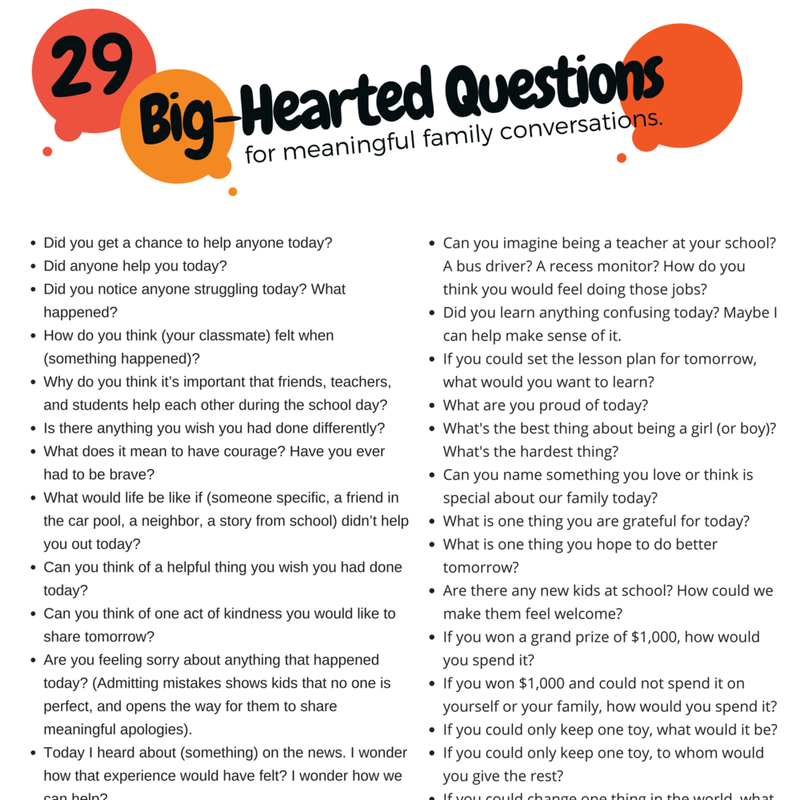 What are some other ways we could share kindness every day? If you enjoyed this, try our Back-to-School Kindness Challenge, featuring elementary and upper grade versions. 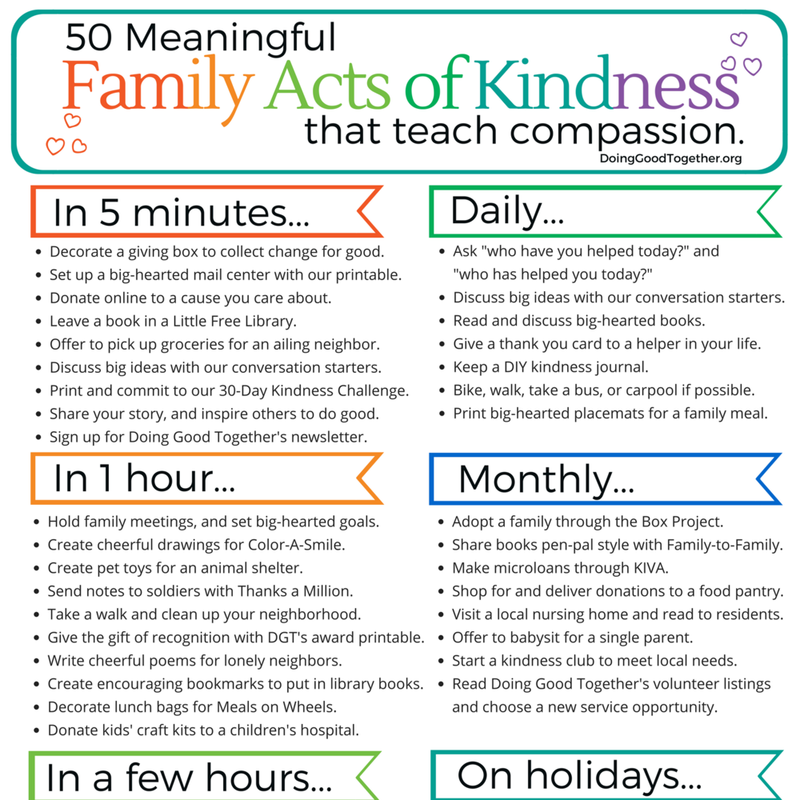 This printable is free, but if you'd like to support our nonprofit, and help us continue to offer kindness resources, please donate to DGT! 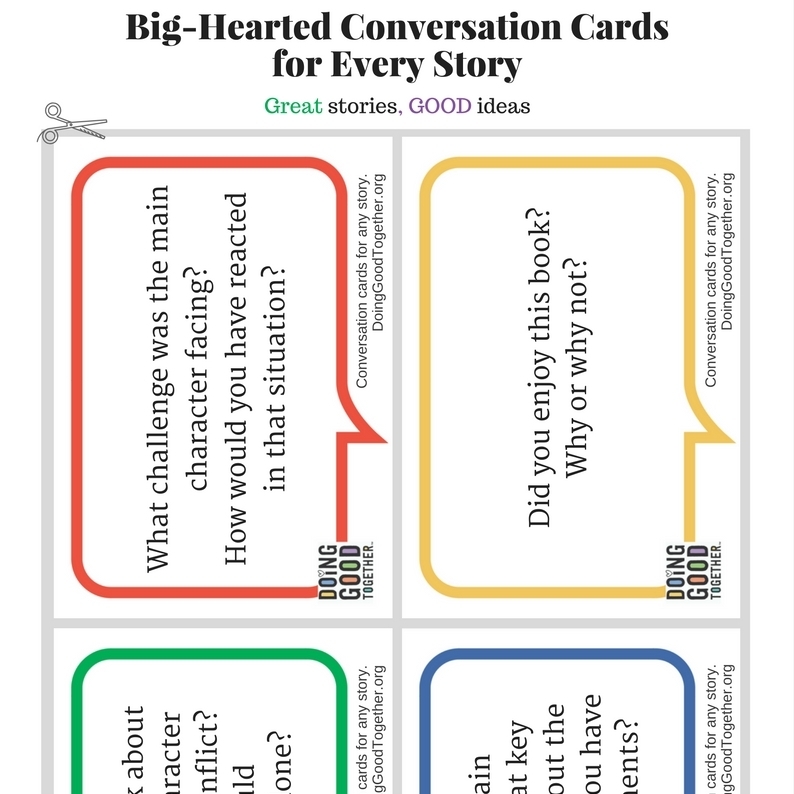 Inspire the wilderness enthusiast in your child with this growing list of stories. A Place to Grow by Stephanie Bloom. Destined to be your next favorite book, and favorite book to give others, A Place to Grow reminds us all to appreciate our unique gifts. The joyous illustrations by Kelly Murphy will inspire your inner gardener to get planting! I Can Make a Difference: A Treasury to Inspire Our Children by Marion Wright Edelman. Stories, poems and tales to inspire children and let them know they have the power to make change. Adopt your local food shelf and make filling your dedicated food shelf box a monthly family tradition. Continue the challenge! Brainstorm a new list of small acts of kindness and keep the habit going. Check out collection of other fun printables!